Credit is one important input to increase agriculture production and productivity. A study in Nepal covering the period between 2002 and 2012 found that agricultural credit has positive and significant impact on agricultural GDP. Similarly, another recent study in China concluded that agricultural productivity can be increased by as much as 31.6 percent with enough credit available. Access to credit results in higher technical efficiency of farmers as well. Timely and adequate loan to farmers enables them to purchase machines and farming equipments, seeds of high-yield crop varieties, fertilizers and pesticides. It also helps small entrepreneurs run their business smoothly. 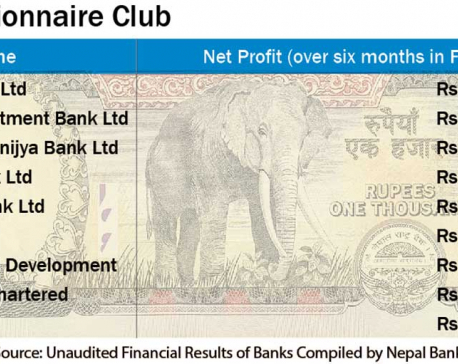 In Nepal, the banks and financial institutions (BFIs) are now obliged to provide loan to farmers at five percent interest rate. Because of this, investment in agriculture has increased by 34 percent this fiscal. As youths are increasingly attracted to commercial agriculture, the demand for agriculture loan is also up. But there are a number of constraints to easy availability of credit. Bureaucratic hurdles, weak coordination between development organizations and financial institutions, lack of financial institutions in rural areas, late approval of loans, and unnecessary request for collateral, among others, have made loan acquisition difficult for farmers. Unless these issues are addressed together, farmers won’t benefit just from low interest rates, nor can agricultural productivity be enhanced. Farmers also need to be supported through right technology, irrigation and extension services. Although commercial banks in the country have around 1,250 branch offices, they disburse less than 2.5 percent of agriculture loan. These banks doubt farmers will be able to repay their loans. So they ask for big collateral and credible estimate of annul income. Thus small land-holders have little access to agricultural credit. This problem can be partially resolved by effective implementation of agricultural insurance policies and by ensuring fair market price for agro products. But in the past farmers were not getting enough credit even at high interest rates. BFIs were few and far between. Today, we have 84 development banks, 30 commercial banks and 53 finance companies (with their branch offices spread across the country). These BFIs are also allowed to extend loan of up to Rs 30 million for cold storage without approval from the central bank. So getting credit should not be difficult. But farmers in rural Nepal have not benefited from such provisions because of high interest rate and low productivity. One reason for low productivity is that farmers still rely on subsistence farming practices. They thus need more skills and training on better utilization of credit through the adoption of improved farming practices and quality inputs. The respective District Agricultural Development Offices (DADOs) can impart such technical knowledge. Moreover, the government has already implemented two five-year plans and three three-year interim plans under its 20-year Agriculture Perspective Plan (APP). A pocket package strategy was introduced in 1997 to implement APP. APP’s commercial pocket approach was aimed at bringing together all actors including technology generators, extension service providers and financial institutions in a specified pocket area. Synergy between these actors could stimulate the creation of a ‘commercial pocket’ to enable all actors to benefit from modern agriculture. But credit could not reach APP’s targets and implementation of pocket package programs was weak. Thus there should be more collaboration among banks and financial institutions, DADOs, technology generators, cooperatives and microfinance institutions. The latter two are the preferred credit providers for small farmers in rural areas. Microfinance institutions and cooperatives can also mutually benefit if they collaborate more. The focus of microfinance institutions should be wholesale lending to well-governed cooperatives. Cooperatives will collect savings and disburse loans in local areas. In this connection, organizations like Center for Microfinance should push policy changes and NGOs and donors help with capacity-building services and financial support. 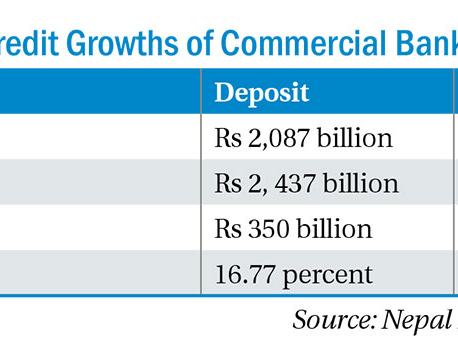 For many reasons commercial banks have failed to serve small farmers though they have been directed by Nepal Rastra Bank to direct 12 percent of their total credit to agriculture and energy sectors. Bank procedures for agricultural loans are complex, making them expensive for the farmers as well as the banks. Farmers are required to produce big immovable collaterals, while they may have only movable assets and/or inadequate immovable collateral. Banks on the other hand are also seeking enabling environment to make their lending safer, cheaper and faster. Thus there should be a coordination mechanism among commercial banks, relevant government offices, cooperatives and local NGOs at the district level. 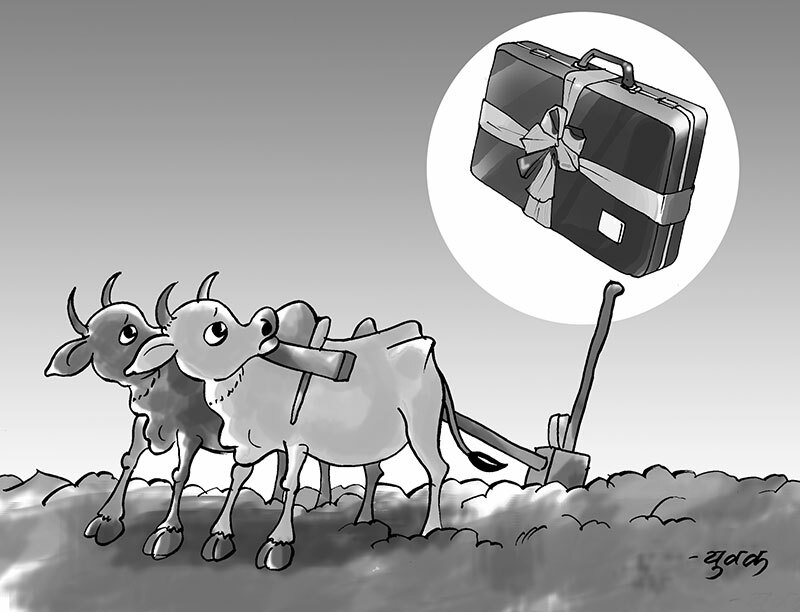 In another sensible measure, the lending procedures of commercial banks need to be simplified and made more farmer-friendly and subsidized loans be provided to all actors in the value chain without many hassle. Such loan should not be limited to age group 21-45 age group, as is currently the case. These small changes can together make a big difference in the life of small farmers.